Here we are, already setting the clocks ahead and getting ready for Spring! We’ve been having unusually sunny weather here in Vancouver for most of February and then suddenly got snow this week, and now the sun is back, trying to make an appearance! Strange strange strange. 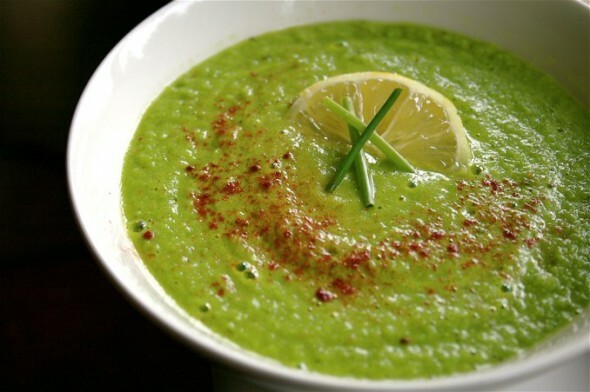 Regardless of the weather, I decided to make a light, refreshing and healthy pea soup. Anything to do with peas just tastes like Spring to me- the flavour is so fresh! This made a pretty big batch, but I’ll definitely be freezing it in single portions for whenever I need a quick bite. Hey! 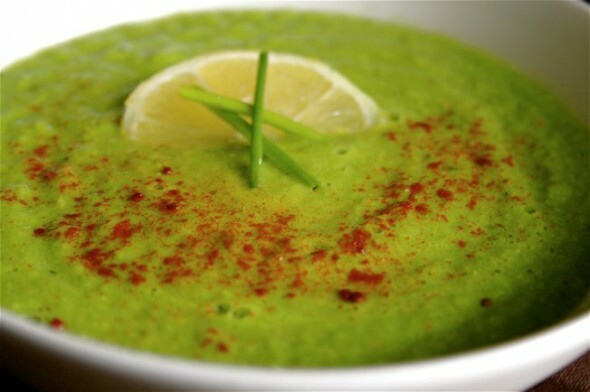 I just thought of something- what a great dish for St. Patrick’s day! 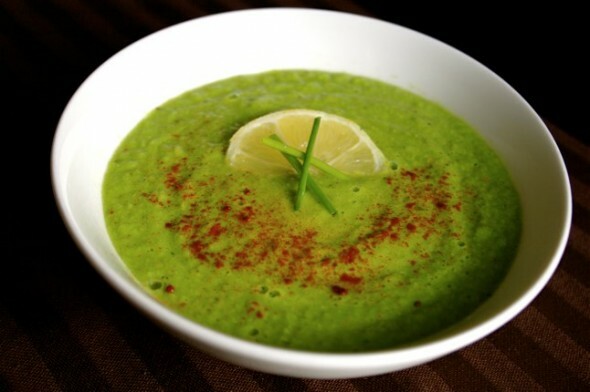 Eat a nice healthy pea soup and then go and drink pint after pint of green beer! This week I will be graduating from culinary school with a Certificate in Baking & Pastry Arts (hopefully! If I pass all my exams ;)). This consisted of me taking 3 months of culinary courses and 3 months of baking & pastry courses. It has been a big learning experience for me and there is much that I can take from traditional French cooking and pastry, and apply to what I think modern food should be- tasty and nourishing for your body, mind, and soul. From here, I will be finishing my last few courses as well as my case studies in becoming a Registered Holistic Nutritionist. I’ve made some great friends over the last few months, and it’s going to be strange not going to school. I can’t say I’ll miss the 4:45am mornings, though! Onwards and upwards…..
Heat a large pot over medium heat with 1-2 tbsp olive oil. Add shallot and garlic and cook a couple of minutes, until softened. Add frozen peas, vegetable stock, herbs, salt and pepper, lemon zest and juice. Cover and bring to a simmer. Puree in a blender. Return to pot and heat until hot. Garnish the soup with a small lemon wedge, chives, and a sprinkle of smoked paprika. Enjoy! 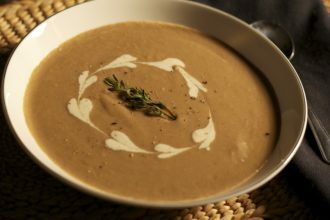 * If you wish to make this soup a bit richer, simply add a dollop of creme fraiche, yogurt, or some heavy cream.